Altered Egos Art House is the LGBTQ’s community art gallery for the Sacramento area. The Second Saturday event hosts local artists for solo exhibitions, group shows, musicians, poets and sculptors. Appetizers, wine to savor, and more every 2nd Saturday. Ms. Vihil Vigil invites the community to take part in this long standing dream of having a gallery for the Sacramento LGBT Community to exhibit their artwork without having to pay for their exhibition space up front. Call for artists: Now booking for 2017. Artists interested in showing their work can contact Vihil for details at (916) 207-8042 or via email at vihil@vihil.com. The American Institute of Architects is a three-tiered professional association of architects. The “Institute,” as the national level is sometimes called, is the parent organization. In addition, there are state chapters or “components,” (AIA California Council), and local chapters. 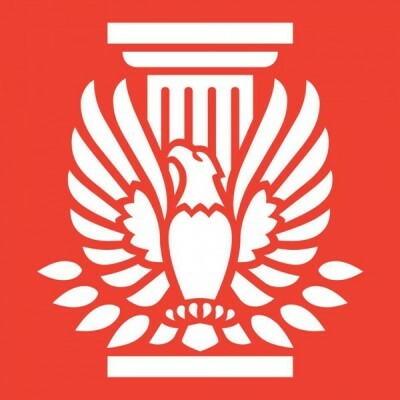 AIA Central Valley is the local chapter of The American Institute of Architects that serves architects and the public in the 17 northern California counties of Alpine, Amador, Butte, Colusa, El Dorado, Glenn, Lassen, Nevada, Placer, Plumas, Sacramento, Shasta, Sierra, Sutter, Tehama, Yolo, and Yuba. The chapter has been in existence since 1942 and has grown from a group of five Charter Members to a current membership of over 500. 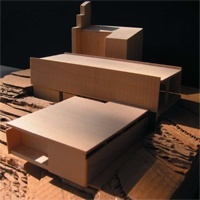 The purpose of the organization is to further the art and science of architecture. 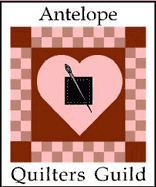 The Antelope Quilters Guild (AGC) is a non-profit corporation who hope to contribute to the knowledge of quilting techniques, patterns, history, and quilt making by providing educational meetings, fun, and fellowship. AGC sponsors and supports quilting activities; encourages quilt making and collecting; promotes the appreciation and knowledge of fine quilts, and promotes community outreach by making and donating quilts to those in need. Multifarious art show created by and for the community. Absolutely free. All ages, varieties of local vendors, visual artists, musicians, poets, and foods. 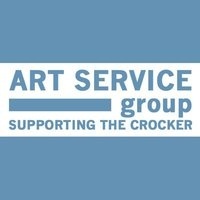 The Sacramento Art Directors & Artists Club (ADAC), established 1966, is a 100% volunteer-staffed, non-profit organization. The mission of ADAC is to educate, inspire, and advocate for visual communication professionals in Sacramento. ADAC works to build the design community by providing networking opportunities, inspiring guest speakers, workshops, educational events, and tours. On the outside, the Art Foundry and Gallery of Sacramento is an elegant gallery showing fine art paintings, mixed media, and original ceramic and bronze sculpture. They have an affinity for the contemporary and, at the same time, celebrate art’s classical roots. But on the inside, they’re noisy, dusty, and really hot: the busy bronze foundry casts sculptures from artists worldwide. From figurative to contemporary art, miniature to monumental, the Art Foundry pours molten bronze destined to become classic figurative sculpture and cutting-edge new work that pushes artistic boundaries. Visit the foundry and discover the history and techniques that make this ancient art a timeless expression of human creativity. 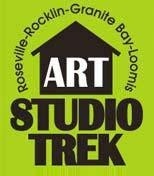 Artist studio tour around Roseville, Granite Bay, Rocklin, and Loomis. ArtC began in 2013 as a project to build community among local Sacramento artists, promote collaborative efforts and exhibitions, and motivate ourselves to continue the creative practice of art-making. Its mission is to bring together Sacramento artists that are passionate about issues within their communities and desire collaborative creative efforts that will help push them to continue making art. Artful Experiences provide workshops and classes in a variety of areas for children, adults, and seniors. Topics include needle and wet felting, playing with yiddish, children’s book writing and illustrating, the joys of painting, and relaxing through art. 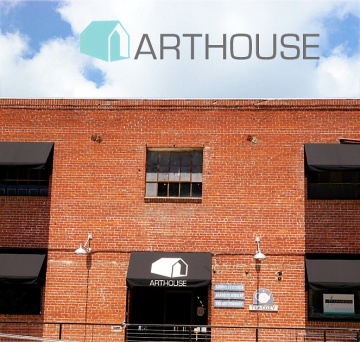 Arthouse is a unique art junction housing a common gallery space and talented artists in their own studios, all congegrated under one talented roof. There are more than 15 artist studios located on the second floor of this building including: photographers, abstract & representational painters, sculptors, printmakers, and designers. The gallery and studio space is listed as #5 in the KCRA Best of 2014 Gallery section. Artists include Michelle Andres, Vinay Sharma, Merle Axelrad, Dianne Poinski, Taylor Gutermute, Michele Fisher, Ann Erpino, Jill Allyn Stafford, Lala Ortiz, Kelly O'Neill, Yoli Manzo, TJ Lev, Judth Perry, Rod Williams, Sue Chapman, Judy Knott, Beverly Austin, Robert Murray, Zbigniew Kozlkowski, and Anthony Montanino. Artists' Collaborative Gallery is the oldest ongoing artists' cooperative in Sacramento. The gallery is filled with unique fine art, ceramics, glass, gourds, jewelry, metal, photography, textiles, wire sculpture, wood, and fiber art. Different artists are featured monthly starting with a reception on 2nd Saturday. Now the gallery is 36 member owners strong lead by President, Louise Schiele and her Board of Director team. In addition to displaying artwork from painter, Kevin Trivedi, and providing links of artistic interest, ArtistScape offers instruction in drawing and painting at Brick Alley Art Studios. Please email if you are interested in enrolling in ongoing classes or workshops. The Sacramento region is rich with artistic and cultural assets which make a significant economic impact each year. 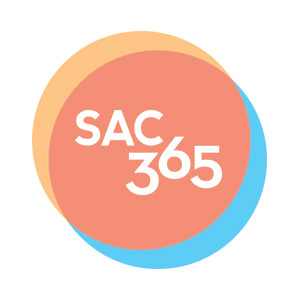 The Arts & Business Council of Sacramento (A&BC) works to ensure the arts remain vibrant by connecting the business and arts communities through a variety of programs designed to capitalize on our clients’ assets, strengthen their areas of challenge, and build management capacity. The arts and cultural industries provide jobs, attract investments, and stimulate local economies through tourism, consumer purchases, and tax revenue. Perhaps more significantly, they also prepare workers to participate in the contemporary workforce, create communities with high appeal to residents, businesses, and tourists, and contribute to the economic success of other sectors. 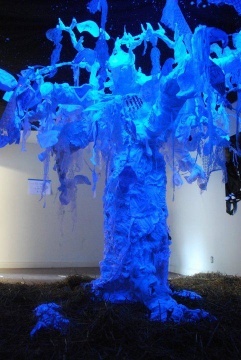 Through expressions of art, from visual to the performing, Arts in River Park provides an avenue for artists to share their talents with the community. Arts in River Park encourages participation and support for the arts with activities and events during the year. ARTZ, Artists for Alzheimer’s is a non-profit with the mission of enriching the cultural life of people living with Alzheimer’s and related dementia. ARTZ provides artistic and creative events that use the healing properties of art, encouraging participants to engage in an interactive process that is dignified, enjoyable, and failure-free. 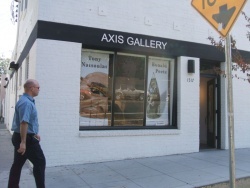 Axis Gallery is an artist-run non-profit art gallery located in Midtown Sacramento. Beatnik Studios is an alternative for photographers looking for a voice. 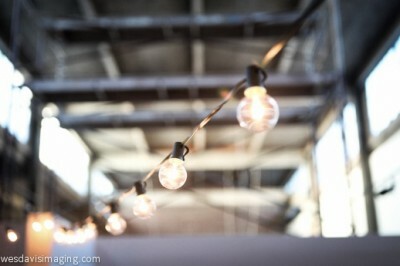 Beatnik Studios is a trendy, unconventional photography studio/gallery that operates under a collaborative philosophy. Here at Beatnik the aim is to provide a space that has a professional yet fun and comfortable atmosphere. It is a place that artists cannot only work but also an outlet that they can plug into and share resources, exchange ideas, and thrive. To put it simply these are real people looking for an avenue to make a living doing what they love. We realize that we are not alone in this industry and being successful in the art world is difficult. But we want to remind everyone that it is not impossible. The intent for Beatnik Studios is that it will be your VIP pass to do more than just survive in the photography industry, but that it will be a transformative enriching implement for your business. The Benvenuti Performing Arts Center in Natomas offers a vital and dynamic program of theatre and the performing arts by hosting, creating or producing live performances that inspire, challenge, and empower artists, students, and audiences in the greater Sacramento community. "Ben Arts" serves as a link between the education and arts communities and enriches the cultural life of our society through productions that do not just entertain, but make you think. 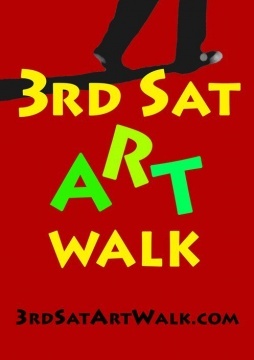 Blue Moon Gallery is a participant in the 2nd Saturday Art walk in Sacramento. The West Gallery is the space where featured artists are shown each month. In the East Gallery is where the artists of the Blue Moon are shown. These are the artists on the web site and they change their work every two months. There is also have a patio where more artwork is displayed. Bridge To Art spawned from a coffee house conversation between local artist, Melanie Hamilton and Kevin Lawrence Santos-Coy (KLSCstudio). Santos-Coy, a Sacramento native, after recognizing there was a disconnect between artists and the community as a whole, has been involved with Sacramento’s 2nd Saturdays since 1990. Melanie Hamilton, a fabric artist and literary extraordinaire worked with Santos-Coy to develop the Bridge to Art name and mission statement to identify the need and consider the way to “bridge” the communication gap between Artists, Galleries, Communities, Municipalities, the State Capitol, and the rest of the planet. Santos-Coy has consistently perpetuated this greater understanding of this concept through the intellectually challenging exhibitions that Bridge to Art has produced throughout the past twenty years. Bridge to Art believes that this approach to "relationship exercising" is the ultimate success of their programming and events. It is with this new sense of clarity experienced together that Bridge to Art hopes to evoke a more culturally healthy community. It is the mission of The California Architectural Foundation to remind communities that choices made today have consequences tomorrow. It is also our shared responsibility to ensure that the next generation of architects is equipped to step into the profession with confidence and skill. The California Architectural Foundation bridges the gap between the academic and professional worlds–between workplaces and wide open spaces. Committed to making stronger and more effective connections between students and schools, planners and professionals, the Foundation cultivates the resources and creativity necessary to forge these links.